1. Shred 1 cup of raw zucchini using a food processor. 2. Prepare brownie mix according to package but use half the amount of water since the zucchini will be watery. I use 3 eggs and also coconut oil instead of vegetable oil. 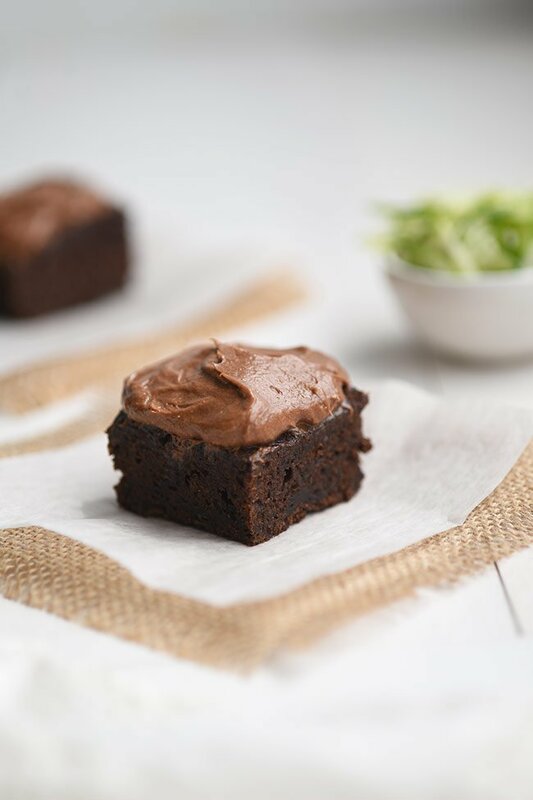 Add the shredded zucchini to your brownie batter and stir until completely mixed in. 3. Transfer batter into a greased baking pan (grease with coconut oil), and bake according to package. 4. 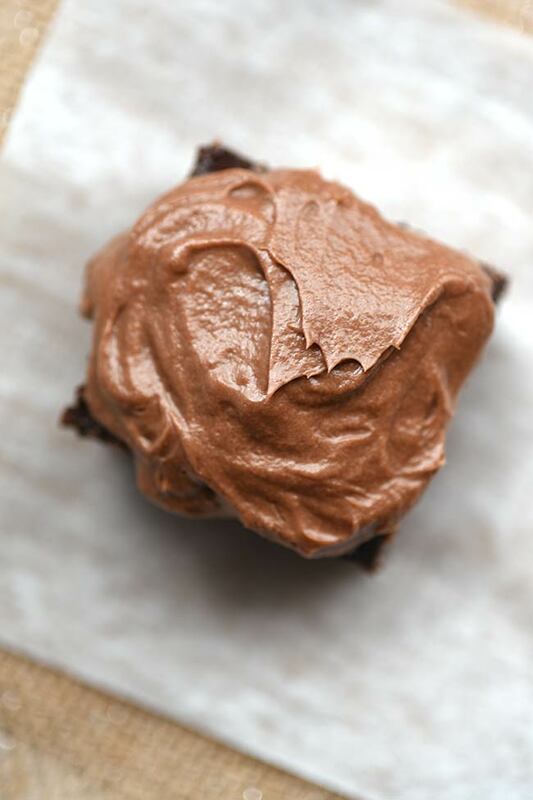 While the brownies are baking, prepare the chocolate buttercream frosting per my other recipe (see link in ingredients list). Stir cream cheese into the frosting. 5. 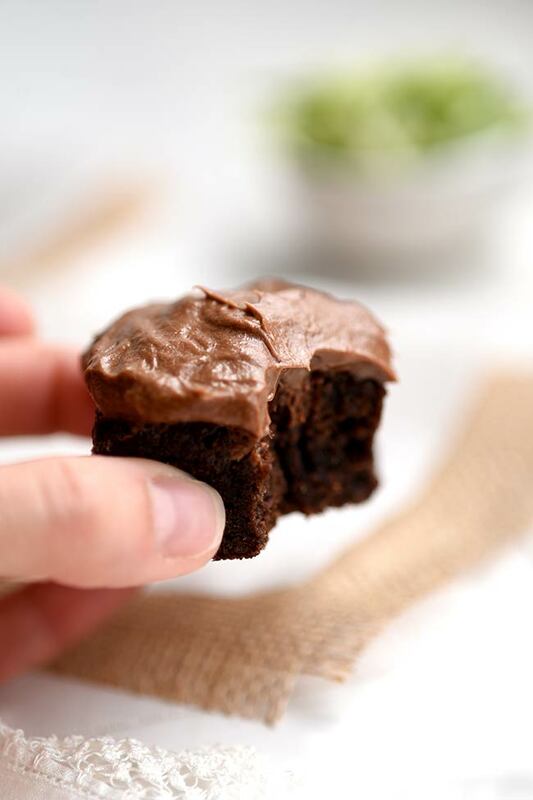 When brownies are done cooking, allow them to cool completely before spread on the chocolate cream cheese frosting. Store brownies at a cool room temperature to prevent frosting from melting or hardening. Well, if you’ve made it this far, you’re clearly not afraid to venture into the healthy dessert zone. 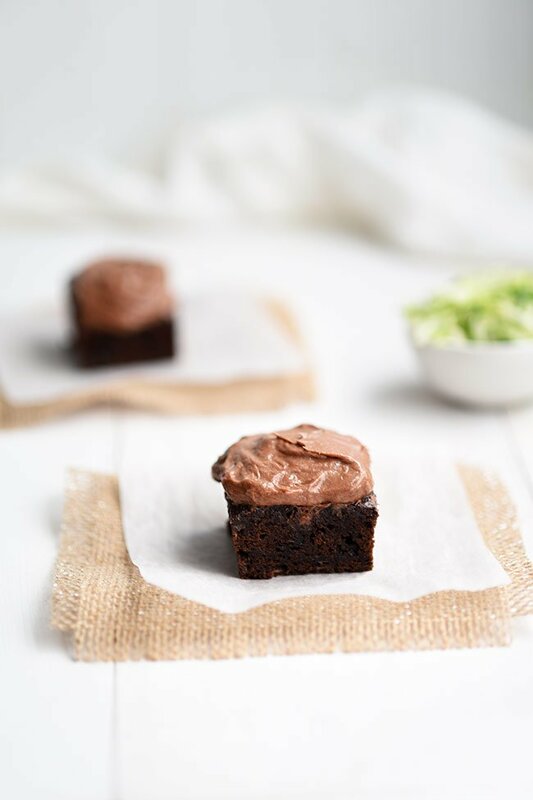 These zucchini brownies have actually been approved by my entire family (kids and husband) with the specific feedback that they are “surprisingly really good.” My two kids, 7 and 9, who would live off of candy and sugar cubes if I allowed it, actually love these brownies. My kids are pretty used to me sneaking things into their desserts at this point. I don’t even try to hide it anymore after that one time I tried to put broccoli in their brownies and they ended up smelling so bad I had to throw them away. Note to self and you guys: zucchini and other more low-key veggies are a way better choice than broccoli. But hey, it was an experiment and if you don’t fail, you aren’t trying. Back to these zucchini brownies though. These were a win! Another win was the black bean brownies we made for St. Patrick’s day. Here’s the thing—when I make brownies, I just start with a box. If you’re looking for a more from-scratch recipe, then check out my chocolate zucchini bread recipe. However, I just discovered Miss Jones baking products and they are so delicious and also organic. So it’s a great option if you’re short on time but you’re looking for natural ingredients and homemade taste. Here’s the other thing—I no longer buy canned frosting (unless it’s Miss Jones—no they are not sponsoring this post, I just love their products). I recently learned how easy it is to make a delicious chocolate buttercream frosting and so homemade frosting it is from now on. It’s truly way better tasting and worth the tiny bit of extra effort involved. 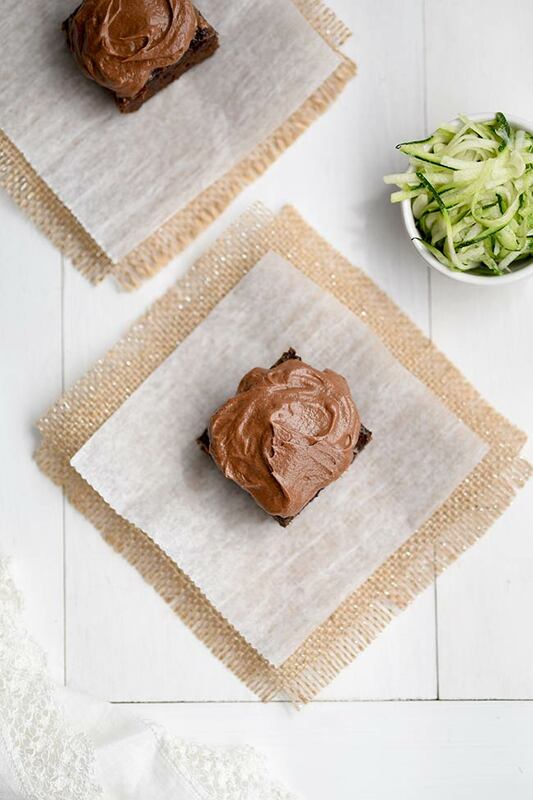 You’ll actually need that buttercream frosting to top these zucchini brownies. What I did was I just mixed the chocolate buttercream with a bit of cream cheese. You don’t have to add in the cream cheese but I did because it cuts down on the sweetness of the frosting while adding some extra vitamins and of course, that rich cream cheesy flavor. You don’t need a lot of special tools to make these other than a food processor and a brownie pan. I pulled out my go-to brownie pan which I just adore. It’s pressed glass with the prettiest pattern made by Pioneer Woman. You can buy it on Amazon or at Walmart. It’s a great size for brownies or a quick cake.